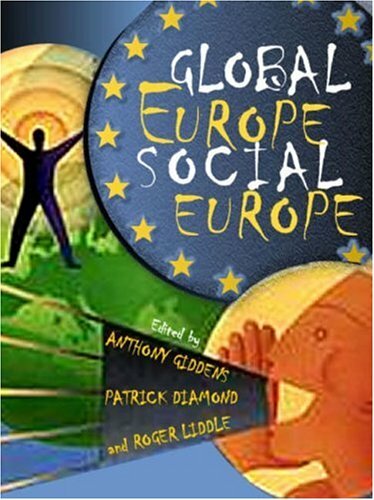 Global Europe Social Europe: 9780745639345 Hardcover - LIMEROCK BOOKS INC. This book makes an essential contribution to the debate now opening up over the future of Europe in the wake of the demise of the Constitution. Since 1989 much about the European Union has changed, including the very definition of 'Europe' itself. The EU has enlarged to 25 countries and the division between Western and Eastern Europe has disappeared.<br /> <br /> The EU has responded positively to these changes, not only by making a success of enlargement, but by pushing ahead with the Single Market and the Single Currency. These very successes, however, have led to a reaction. Those who voted 'no' in the referenda in France and the Netherlands registered worries about Europe's future, especially on a social and economic level. For many, 'social Europe' - the welfare states that offer protection from the buffetings of the global marketplace - are under threat. Unemployment and low growth are seemingly becoming endemic across much of the EU.<br /> <br /> How should pro-Europeans respond? What future is there for Europe's cherished social model? How will the EU deal with the competitive pressures coming from India, China and other industrialising countries? In this volume, leading contributors from a range of countries offer answers to these questions.